Over the weekend I took the latest canoe out for a test paddle and I was reminded how long it has been since I’ve updated the blog. 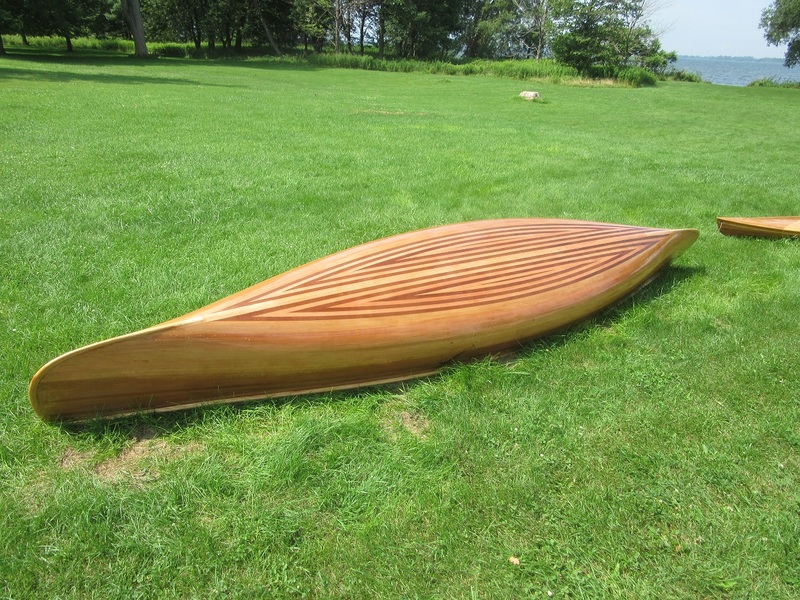 I left off in November in the process of fabricating the inner gunwales. Rather than describe the process of attaching them (which I described for an earlier build), I’d like this post to discuss some of the tricks I employed with this build. As for many builders, glassing the inside of the hull is a challenge. The fiberglass moves around, pulls this way and that, and generally misbehaves. As a result, the final result often contains those dreaded air bubbles. For the worst of these, I used a small drill bit and (by hand!) drilled an opening into the bubble. 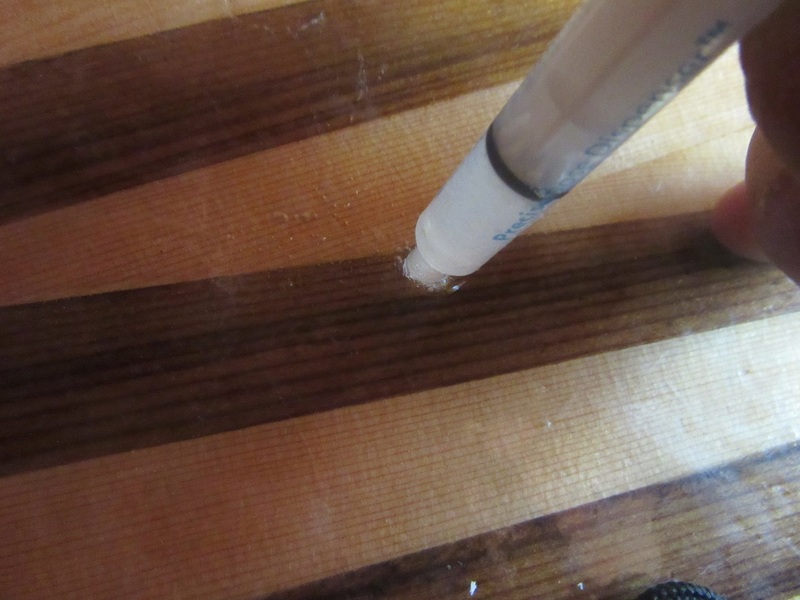 Then, with a syringe, I injected epoxy. Installing the seats is always a nerve wracking process (for me at least). You have to trim the lengths of the main cross pieces and repeatedly test the placement of the seat. 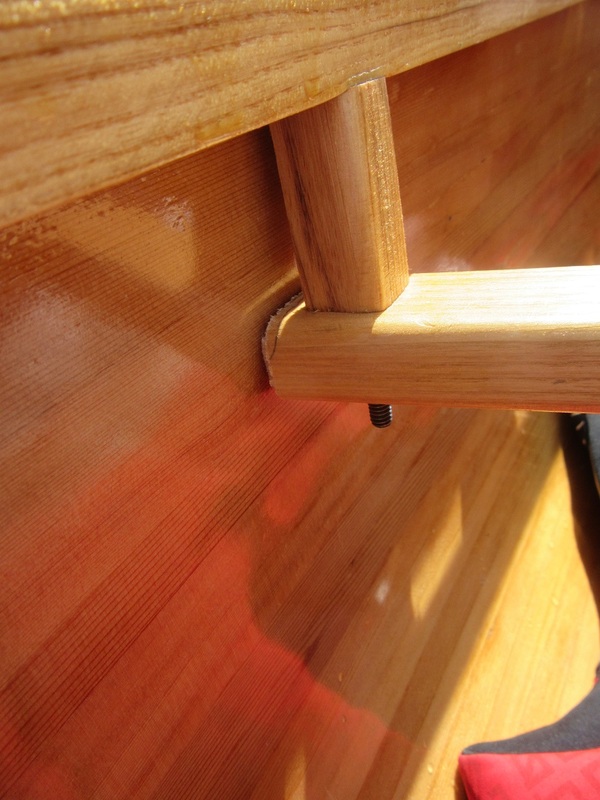 In the last builds, this process has scratched the inside of the hull, which at this point will have been varnished. For this build, I used felt pads on the ends of the seat supports (the kind used for furniture) so that I could dry-fit the seats without scratching the hull to bits. Finally, I’ll leave you with a couple of pics of the finished product. I’m especially happy with how the bottom of the hull turned out. And her’s a side view (with my first ever build in the background). 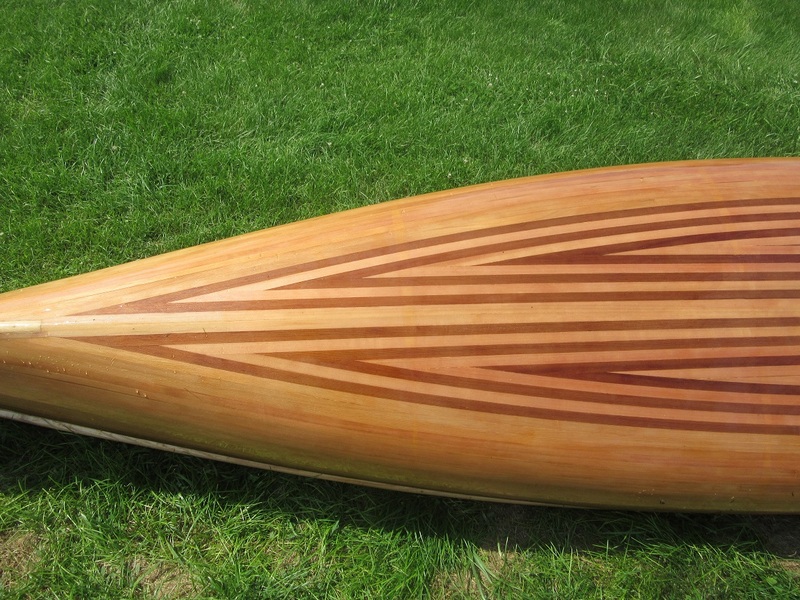 The next build, which should be starting in September or so, will be a kayak. 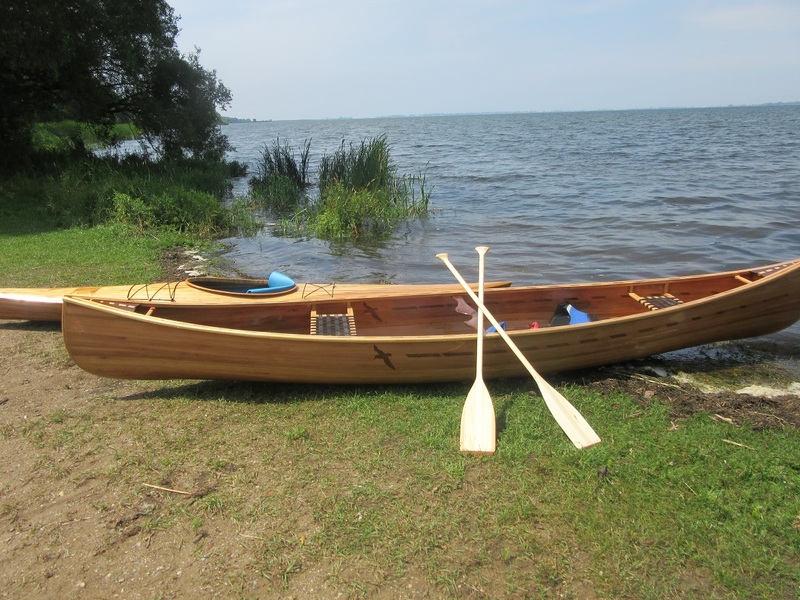 You are currently viewing the archives for July, 2015 at greybeard canoes & kayaks.